Did Evolution Give Us Surfing? - READY... SET... QUESTION! I found myself stuck in traffic and the car in front of me had two bumper stickers. One sticker said, “Pray For Surf.” The other sticker was the iconic evolutionary succession of multiple figures starting with an ape and ending with a man. Except this sticker ended with a man holding a surfboard. It’s meant to be comical. There are other renditions of this same idea with an astronaut at the end or a man on a computer. Long story short, the person who owns the car in front of me is more than likely a surfer and not necessarily an evolutionary biologist, but who knows… maybe he is both! There is something about the stickers that is playful and actually caused me to smile in traffic. Yet, while looking at both of these images stuck to the same bumper, I started to wonder. Let’s say we agree there is a great deal of fun happening with these two stickers. Now let’s look to the deeper meaning of each sticker. The ape to surfer image is referencing the idea that over time, a species will morph into another species. In short, due to natural processes, at some point an ape-like organism mutated enough to emerge as a surfer. According to the main claim of evolutionary biology, this natural process is how surfers came to be. Why does the word “natural” keep popping up? Darwin coined the term “natural selection” in his greatest work, The Origin of Species. He extrapolated the idea from “artificial selection” and or “breeder selection” which is known as domestication. He used the word “natural” to describe how an organism becomes lucky enough to produce a successive generation. In artificial selection, there is a breeder who is outside of the naturally occurring world. A dog breeder is the decision maker in determining how certain dogs become lucky enough to produce a successive generation. Which is lucky for the dog, but is actually an intentional decision made by artificial selection… aka the breeder. On the inverse, a natural selection has to do with no outside intentionality, organisms become able to reproduced do to luck. In my book, What Is Evolution?, I go into great detail when explaining natural selection, but here is a quick example. Imagine two bucks in the forest. One is strong and well suited for defending his right to produce a successive generation, the other is smaller and down right weak. Yet, as they drink from a near by stream, due to erosion, a large boulder crushes the larger buck and naturally selects it to not produce a successive generation. The scrawny buck is lucky and will go on to have many successive generations. This example shows how selection in nature takes place without intention, purpose, or meaning. The entire theory of evolution by natural selection, of which Darwin proposed, is based on this idea of being lucky to have offspring. The inclusion of any force beyond nature not only goes against what Darwin communicated, but it is beyond the bounds of science itself. 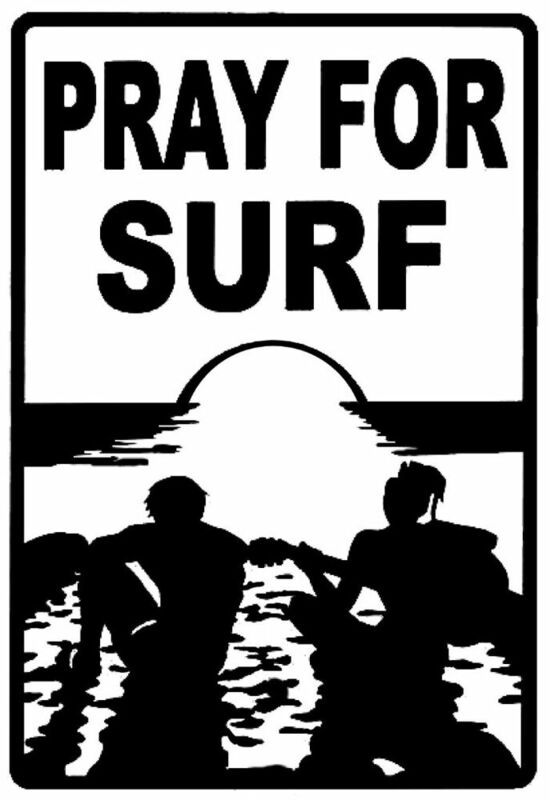 So, getting back to the bumper stickers… Is it logical and/or consistent with science to say that surfers are produced via natural processes, but surf-able waves could be produced by petitioning some force that is outside of the physical and material universe? If a + b = c, then we can clearly understand that c – b = a. How frustrating is it to claim that sometimes c – b = HASHTAG? Of course these stickers are fun and playful. I like them! Yet, is it possible to claim that both are a logically consistent and supported by empirical/scientific data? Food for thought. Previous PostHow do kids feel about evolution?Next PostWhat About Fossils?